Balancing professionalism and authenticity can be a very fine line to walk when managing a public-facing blog and/or business. This is especially true if you’re building your brand based on your life and personality, and chances are if you are a blogger, you’re doing just that. On the one hand, you definitely want to show your fans and followers the real you, after all, that’s what they come back for time and time again right? They love your personal style, way of writing, and/or stories-right? Right. Trust me, they do, but there is also a lot of other things to consider when putting so much of your personal life out in a public forum. So how can you run your blog in a professional manner while still being true-to-life about what you post about? While it’s definitely possible to do both, and most of us do it without too much stress, it does require some effort and a constant check to make sure you’re managing both without too much getting out that you don’t want out. Isn’t that what we all want? To be real? Don’t we all just want to put our real honest selves out there and be loved for exactly who we are? Yes. I think the answer to that for most people is a resounding YES PLEASE! Especially when it comes to blogging about ourselves and our lives. Especially when it comes to bloggers who blog about their lifestyle, family, or deeper feelings-we all just want to be able to be real without having to change who we are in order to be read. There is always a constant debate about authenticity in blogging. On the one hand, there are bloggers on one side of the fence writing about why you should be striving for authenticity, but then you also have those on the other hand stating that authenticity is a lie. So which is it? Should you be striving for authenticity in blogging or is being authentic online just a lie? Personally, I feel that it’s a little bit of both, and that it comes down to that fine line I mentioned earlier and a whole lot of balance. So, let’s start by talking about why both professionalism and authenticity is important, and how you can up your game and balance the two out more often. Okay, so we can skip over why professionalism is important to your business, I feel like that’s pretty self-explanatory, but what about your blog? When you’re blogging about your personal life or your hobbies and not blogging for a business, why do you need to be professional? Can’t you just be you-no editing, no sprucing up, and enjoy your blogging? The answer is, of course, yes. You can totally do that if you want to, no one is going to stop you and if it makes you happy-GO FOR IT. 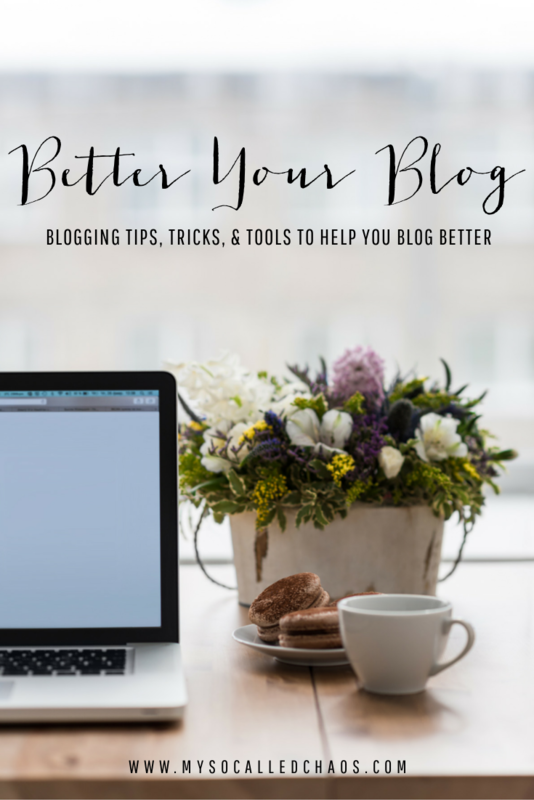 If you’re just blogging to keep your family up-to-date or to keep an online journal, you really don’t have to worry about it too much. However, don’t just be as amateur as you want and expect to still build your blog into a business. You can’t be unprofessional and then wonder why you’re not getting more paid contracts, reviews, or advertisers. Be professional on your blog or don’t be surprised when companies or people wont work with you. A company is a professional entity, so it makes sense that if they are planning on enlisting you to talk about their product, review it, or just link to it in a post; they’re going to expect you to be a professional entity as well. If you’re representing a product, person, or company-you need to put your best professional foot forward while still being honest about the product. Unless you’re 100% private (and even then you can never be too sure on the internet), the chance of someone you know reading what you write is pretty high. If you wouldn’t be okay with your mother or grandmother reading something the way you’ve written it, you may want to rethink hitting the Publish button. Yep, you may not expect that your boss will look up your blog-but it’s quite possible he will. Especially if you run your blog publicly and with your real name, you want to make sure it’s something that wont get you fired, or keep potential employers from hiring you in the future. Remember, above all, that nothing put into the internet is ever truly gone. Delete means almost nothing in the word wide web, because there are always copies, screenshots, caches, and more that keep it floating around out there. They do. Trust me, that’s not just coming from a blogger who craves being authentic with people; it’s coming from someone who actively reads other blogs. Yes, I get sucked in by a good fictional story now and then, but if a blogger is constantly spinning these elaborate tales that seem super far-fetched and trying to pass it off as their factual life, I get bored. Really bored. Then I start craving a return to reality and I’ll move on to another blog that’s more honest. I want to see the real you. I want to look into the depths of your soul, see your darkest and brightest feelings, and connect with you on a profound level. Whether it’s fleeting or long-lasting, that feeling of really being connected to the person writing the words you’re reading is incredible. Want your readers to actually comment on your blog? Be genuine and ask for honesty in return. You have to give to receive, and a reader will skip commenting if they think you only want them to say what you want to hear. No, you don’t want some troll leaving negative comments all the time, but you do want to encourage open and honest discussion on your blog. For example, I commented on another bloggers post the other day and shared my honest opinion about a store they were talking about. I’d had a negative experience with the business (actually, several negative experiences with that same company) and just wanted to state the truth. I wasn’t rude, I wasn’t disrespectful, I just said “I wish I could shop there, but unfortunately they have repeatedly not followed through with their promises or warranties.” The blogger deleted my comment and told me I wasn’t allowed to say anything negative about the company on her blog. I kind of scoffed at this, and then I started really grappling with this. If she didn’t want an honest discussion, why didn’t she just put “only comment if you agree with me on everything” at the end of her post? I was mad for a minute, and then I quickly moved on and decided just not to bother with her posts anymore. I mean I get it, honestly, if it’s a sponsored post you really have to worry about things that people could say negatively in the comments-I know, I accept sponsored posts on my blog as well and I have run into people in the past who have not had the best experience with the company or product I was talking about. However, I do NOT delete their posts as long as they present their opinion in a respectful manner-I open it up for discussion. Since I personally reviewed the company and product I know how my experience was and reported it in the post honestly, and if it was different from theirs I want to find out why and offer input. I also want to encourage the company to get involved and respond or make it right if they choose to do so. Seriously, there is nothing more attractive than someone’s passion. If you’re just writing about what everyone else is writing about because you think it’ll help your SEO and bring more people to you via certain buzzwords, you’re probably not super in love with what you’re writing. If you’re writing about something you truly love and want to share with people, it’s going to shine through your words and readers will be more apt to enjoy both the post and the writer behind it. Your passion will keep your readers coming back, and it’ll attract new readers, thus growing your base of followers bigger and better than ever. There’s nothing more attractive in a blog than a blogger who is passionate about what they’re writing and sharing. Along with people being attracted to your passion and sticking around to see more of it, the readers who find you and actually relate to what you’re writing will become loyal subscribers. A loyal fan base is so important to build. Having that large loyal fan base will then, in turn, earn you more opportunities with companies and people who want to reach out to those people. On the other side of things, what about when you’re a business? Well, in today’s day and age you must have social media for your business or it just won’t do as well. Everyone from enormous companies to small handmade Etsy shops have Facebook Pages, Twitter Accounts, Instagram, and more now. It’s how you market. It’s how you connect with the people you want to know about and buy your product. So why should you be sincere on the accounts for your business? When you’re realistic in your dealings with customers and clients on social media it humanizes you, which is a good thing. Your products are just that-products. Even if you’re offering a service which is done by a human, the company itself is not an actual human being, and thus humans can’t really relate or empathize with it. Sure, they may want it in their lives to make their lives easier, but in a word where everything is available to everyone, how do you make yourself stand out? By being more real. Show them the person or people behind the brand, and they’re more likely to attach to your goods and services over a company that doesn’t show some sincerity. When you interact with your customers authentically, you turn first-time visitors into repeat buyers. If someone comments on your businesses’ Facebook page, and you don’t respond or acknowledge it, they’re less likely to leave with a positive experience or any kind of lasting memory. Sure, they may not feel negatively that you didn’t respond, but will they remember they left that comment? If you take the time to reply to your customer’s comments, tweets, etc., at least the valid ones, you’re way more likely to leave an impression that turns that first-time customer into a loyal repeat buyer. For example, recently I tagged Overtone in some of my photos on Instagram. I’d become a recent customer of theirs, as their product is helping me maintain my purple hair and I’d heard that you’re supposed to tag companies you appreciate on Instagram. 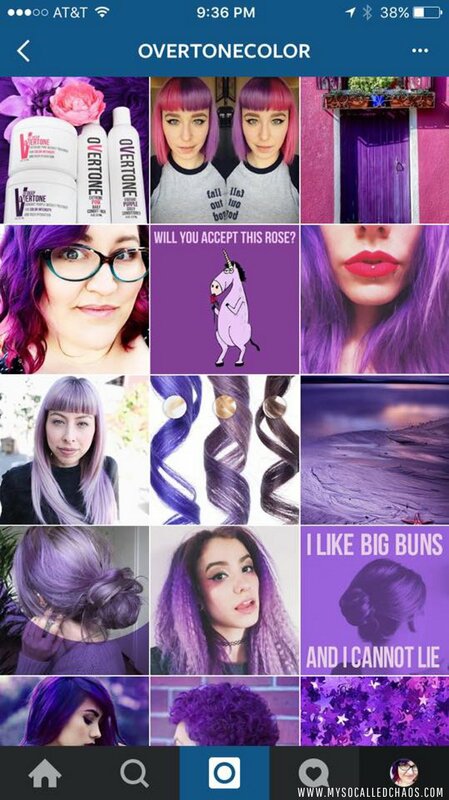 Not only did they take the time to comment and tell me they were glad I was enjoying their product, but they featured me in their Instagram account among some other beautiful purple-haired ladies. I ended up following them, and several of the other featured IG profiles too! 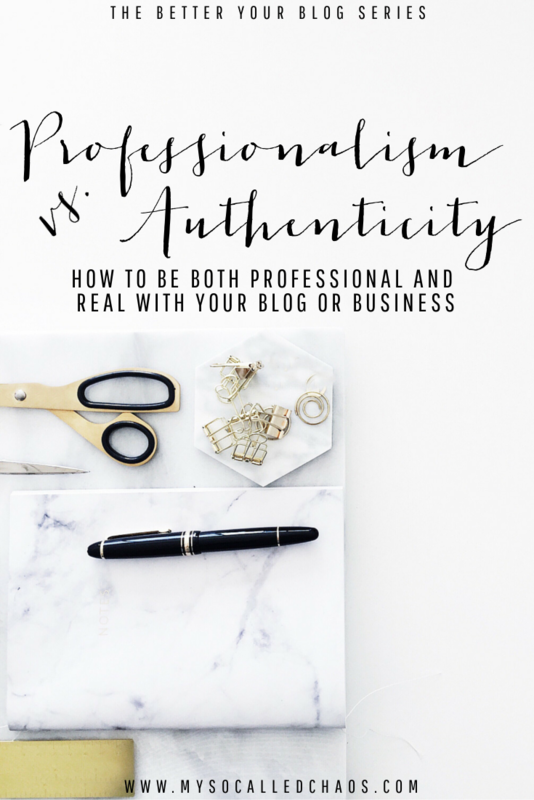 So you’ve decided you definitely want to be professional AND authentic on your blog, because hey-you want it to grow but you also want it to be honest. So how can you do it? It almost seems like professionalism and authenticity are two different ends of the spectrum, and to have one, you have to give up the other. To be completely honest, in some cases you do have to give up a little “authenticity” in order to be more professional, or you have to be slightly less professional in order to be more genuine with portraying your feelings-and that’s okay. To all things balance is necessary, and compromise is important. Being both authentic & professional-to all things balance is necessary, and compromise is important. Grammar is probably the main thing you’ll be judged on if you’re writing on your blog or on social media. Yes, we all make mistakes and mistype or mess something up, but on social media there are so many people who just have the worst spelling and grammar mistakes. It’s painful to read, and nothing will scare away potential readers and partners faster than poor writing. How can you improve your grammar? Spell Check. Use it, enable it on your browser, install a plug in, etc. Proofread. Before posting your blog or social media post, read through it again to make sure it looks right. Read it Out Loud. It helps to read it out loud and make sure it flows well. When in Doubt-Look it Up. Aren’t sure if that word should have an apostrophe (we’re looking at you-its/it’s!) or if you need to use the word effect or affect? Google it. There are a lot of sites like Grammarly or The Owl Purdue (which is a life saver for college papers, by the way…) that will answer your question quickly and effectively. Yep, I’m mentioning design again, because I still feel like having a good blog design is SO important. Yes, your writing is important and the reason you started the blog, but in spite of what they always say, people do still judge a book by its cover-or a blog by its design-and wont even take the time to get to your writing if your blog is unappealing or hard to read. Your name or the name you go by on your blog. A little bit about your history/background/what led you to blog. A few fun facts about you to make more authentic connections with readers. Other photos that show off who you are, your style, things from your life, etc. What kind of topics you cover. Links to some of your favorite posts. Links to where you can be found on social media. Links to posts written about you or by you on other blogs/sites. A Clean and Easily Readable Layout & Color/Font Scheme: Yes, it needs to reflect who you are, but it also needs to be easy to navigate and read or other people won’t be interested in sticking around to connect with you-especially advertisers. Check out my post Blog Design Tips for more ideas on how to make your blog design shine. Tell those personal stories, whether it’s on the blog or on social media, because people want to hear about you and relate to the things that have happened to you. However, you don’t need all the little gory details of things people don’t want to really know about. Your readers will eat up any drama or hilarity you portray in your stories, but they’ll be revolted by certain details that could have easily been left out. You could be telling me a personal story that effected you and describing how you feel about it, and I could be oging along with it and relating or laughing, and then bam-something entirely too personal could take me right out of it and push me away. Super personal things like bodily functions, sexual escapades, etc. can totally be mentioned and discussed as part of your personal history, but you don’t have to go into great detail about the how, why, and description of them. I would also avoid giving out personal information that could be used against you in some way. People don’t need to know things like your address/phone number, what medicine’s you’re on specifically (unless you’re writing about a certain issue and helping spread the word), or anything that should be considered confidential like work or school information. When sharing on social media be personal but not too personal. Let people relate, but don’t overshare. Don’t go on a huge rant on your Facebook page about a company, product, or person (either in your life or online) and post awful hateful things. That brand of drama will make you nearly instantly lose a few followers who suddenly feel you’re too immature or crazy. What can you do if you want to post some critical feedback or respond to someone who’s not being so nice to you on your own page/blog? Be Polite. “You catch more bees with honey…” That saying may be kind of cliche, but it still rings true-if you’re nice you’re going to get better results and come out looking like the bigger person. Take a Step Back. Remember, you don’t have to post ever, let alone when you’re upset or feeling low. Sometimes it’s better to just take a breather and come back to it when you can be more logical and not let your emotions rule you. Don’t Ever Call People Names. Calling a person names, even if they’re really being that specific term, never makes you look pretty. It makes you look immature and it just fuels more of the same behavior. Watch Your Language. Don’t get me wrong, I’m a big fan of swearing when appropriate. I don’t feel like people should be so easily bothered by words, but the truth is that some of them are. Some of those people who are offended by words are likely to be your readers, or the owners of products you’d really enjoy working with. So, I’m not saying you should never put a swear word in a post, but use it cautiously and only when you need it for creative emphasis or when it’s the only word that fits there. Limit Controversy. It’s totally fine to post about something controversial and share your opinion, but don’t lash out when people disagree with you, and don’t be rude pushy. Don’t Use Hate Speech. Seriously, be a good person and don’t say things that are going to hurt people. There’s just no reason to say racist/sexist/offensive things about other people, or to use terms that could push away people you may love. How do you run discussions on your blog? Strict comment moderation or can people discuss things easily? Spam: Yes, there is a lot of spam and trolling out there on the internet, so you still want to pay attention to comment moderation, but you don’t want to come off as too ridiculous with it. My comment system automatically filters for spam (via keywords) and I have to manually approve any comment that has a link in it, since most spam comments will be linked for advertising. Anonymous Comments: Personally, I’ve turned off anonymous commenting because, while I definitely want to encourage honest conversation and debate, I feel like people should own up to the comments they want to leave. Anon comments tend to just be rude or spammy since people feel like they can just leave the comment and you have no way of responding so they don’t have to face the consequences of their words. Yep, it’s simple like that. Reply to people who take the time to comment on your blog posts or social media. They took the time to reach out to you, and you can take the time to reach back to them and let them know you appreciate their valuable time and input. No, you don’t have to reply to every single comment. It can be very difficult to reply to everyone if you get a lot of responses, but you should make sure to go through and at least reply to the most thoughtful and interesting ones, and you should make sure you’re not saying the exact same thing to every single comment, because people can see right through copy and paste. This is another one you wont be able to do for everyone, because goodness knows we only have so much time in the day and most of us are doing so much more than just blogging and commenting (work, school, kids, home businesses, writing, etc.) but readers want to know that you notice them and value their time. If they leave a link to their blog (or have set up their profiles so you can easily find a link to their blog by clicking on their names) take a moment to head on over and comment meaningfully on one of their posts. I recommend doing this for a few people out of every so many comments (the numbers are up to you) and especially doing it for the people who comment regularly and keep coming back. This is especially good on social media. Share a Facebook post you like, retweet a tweet, or spotlight another blogger’s post on your blog or social media. This not only makes that person feel good, but it shows other readers that you take the time to do exactly what you want them to do-interact. If you need a good idea for showcasing info from others, I’d recommend linking up with our Monthly Coffee link-up where Aubrey and I showcase the blog posts we’ve liked from other bloggers throughout the month. It goes live on the last Thursday of every month. To stay professional, you definitely want to put your best face forward… But to be personal and authentic, you need to sometimes show your flaws and let people see your vulnerability. You need to talk about personal issues, causes you support, and why things should matter to people in order to spark that relatability. The balance is, even when you’re showing the negative or sensitive aspects of your life, you need to present it with the things I’ve mentioned above like proper grammar, positive tone (instead of negativity and drama), not sharing too many personal details about it, etc. All in all, I hope if nothing else, this post helps you start thinking about the balance of authenticity and professionalism on your own blog or space of the internet. This doesn’t just apply to your blog or business site, but any social media accounts associated with it as well. Anywhere you are publicly facing potential customers, readers, advertisers, or anyone really; you’ll want to make sure you’re finding the right balance and walking that fine line carefully.